Reduced travel time, more journey options, and the realization of the country’s vision for a “car-lite” Singapore are the major goals in constructing the first phase of the Cross Island Line (CRL), Singapore’s 8th MRT line and the longest fully-underground line. Construction will commence in 2020 and will open by 2029. “With the CRL stations interchanging with all existing radial lines, commuters will have more journey options to get to their destinations. Many will benefit from shorter journeys and faster travel times,” Transport Minister Khaw Boon Wan said in a briefing with media. Speaking at the work site of Bright Hill MRT station on the Thomson-East Coast Line, Mr Khaw confirmed that the CRL’s initial phase will have 12 stations, in areas such as Changi, Loyang, Pasir Ris, Hougang and Ang Mo Kio. The stations are Bright Hill, Teck Ghee, Ang Mo Kio, Tavistock, Serangoon North, Hougang, Defu, Tampines North, Pasir Ris, Pasir Ris East, Loyang and Aviation Park. Primarily publicized as part of the Transport Master Plan 2013, the CRL will extend across Singapore to connect the western, north-eastern and eastern parts, which might include Changi Airport, Mr Khaw said. With its opening, over 100,000 households along the 29-km stretch will have their travelling times reduced and will bring Singapore closer to its goal of having eight in 10 households living within a 10-minute walk of an MRT station. “It will help realize our vision for a ‘car-lite’ Singapore,” Mr. Khaw added. “Recreational spaces such as Changi Beach Park and the nearby Bishan-Ang Mo Kio Park will also become more accessible to Singaporeans using public transport,” the Transport Minister proudly stated. Minister Khaw also informed everyone that the CRL will only have one signalling system. “We have also learnt that the signalling system comes with a lot of vehicle on-board controllers and trackside equipment. 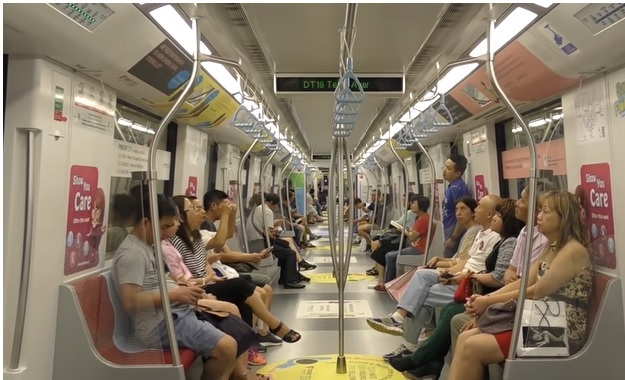 If such devices or components come from less than reliable manufacturers or are not robust enough to withstand the vibrations of a moving train, then the final signalling system delivered to us will have lots of cleaning up or replacement problems during operation,” said Mr. Khaw. While nearby residents and businesses will be expectedly impacted by the said construction project, “LTA will work closely with its contractors and the local community to minimize these inconveniences,” Mr. Khaw stated. A new MRT depot, the CRL Changi East depot, will be opened. The depot was originally planned as an underground facility, like the rest of the CRL stations and tunnels, but authorities decided to locate it and its reception tracks above ground after a methodical and comprehensive cost-benefit analysis. 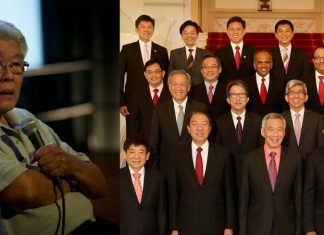 “The decision will save taxpayers more than S$3.5 billion,” said Mr. Khaw.